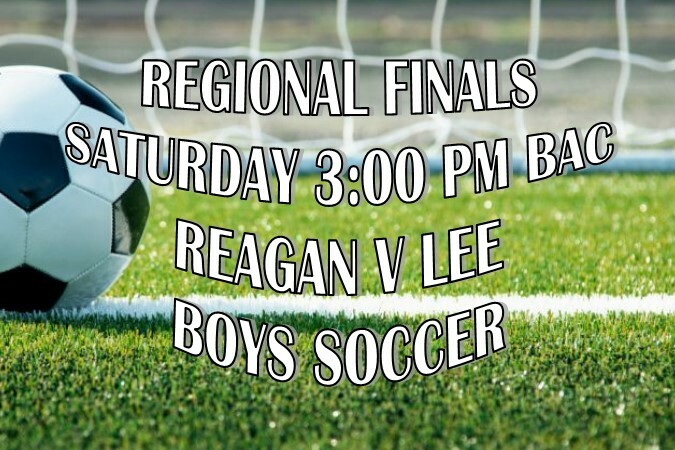 April 13, 2018 – Get to the Regional Finals to watch Reagan Boys Soccer vs Lee. Game at 3:00 p.m. at Blossom Athletic Center West. Winner advances to the State Tournament!